Joining the British Army, you’ll get much more from life than you ever would with a civilian career – you’ll have the opportunity to do something that really matters, with a team that are like family to you. The sense of belonging in the Army is next level: when you’ve trained with each other and overcome new challenges you build bonds that last a lifetime, and see you through whatever life throws at you – on and off the battlefield. 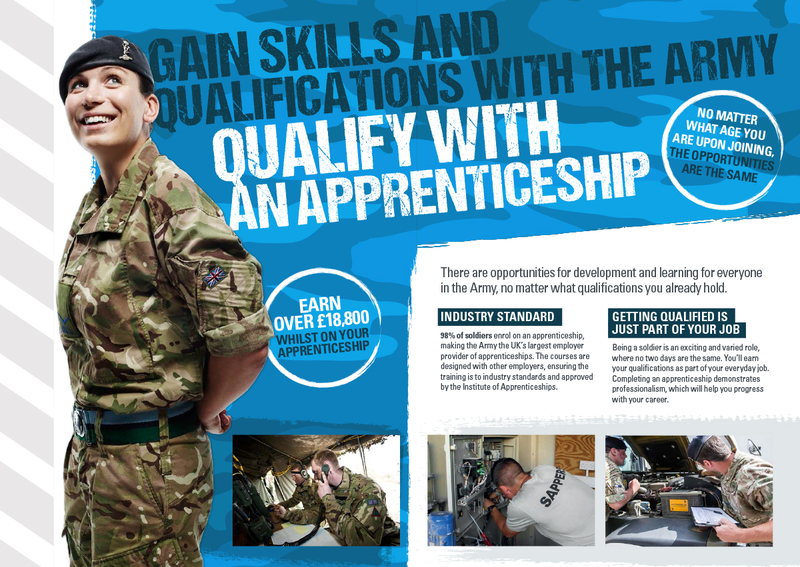 The Army offers a range off apprenticeship options. 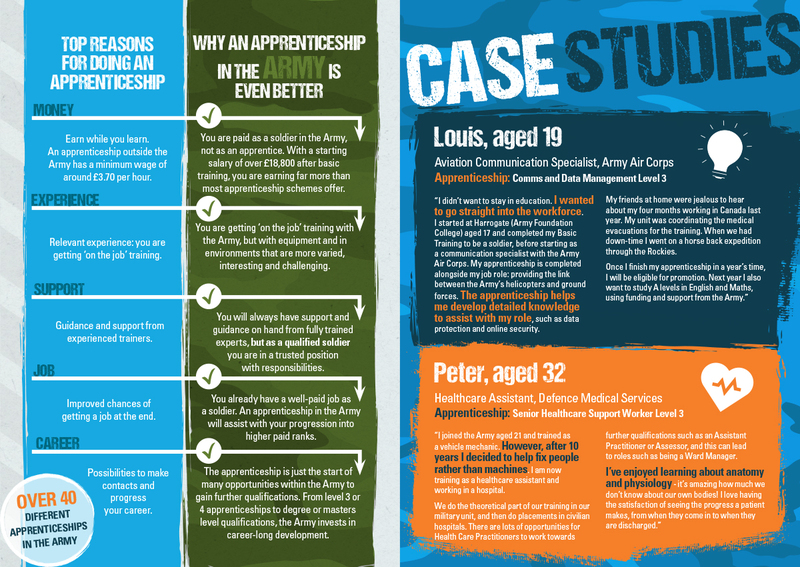 Your apprenticeship will be planned to fit around your military training and relate closely to your role. 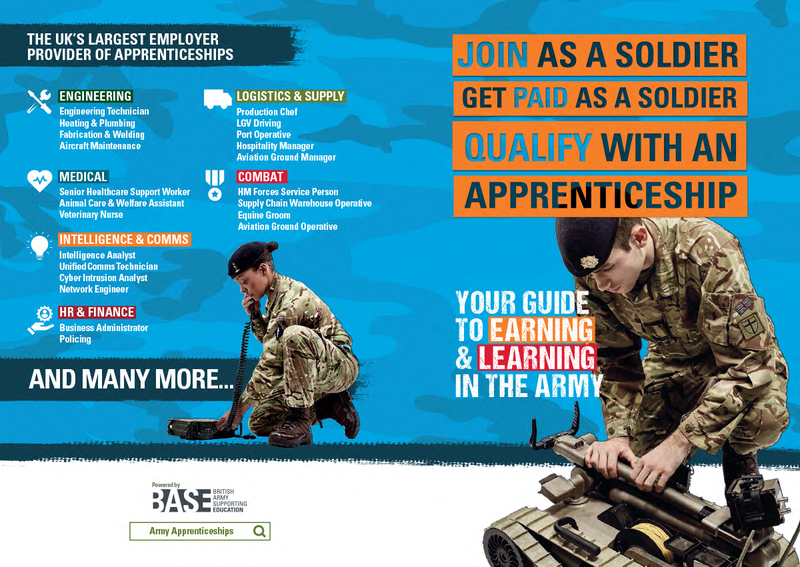 That means that as well as becoming a better soldier, you’ll be working towards a qualification that will also be valued by employers outside of the Army. 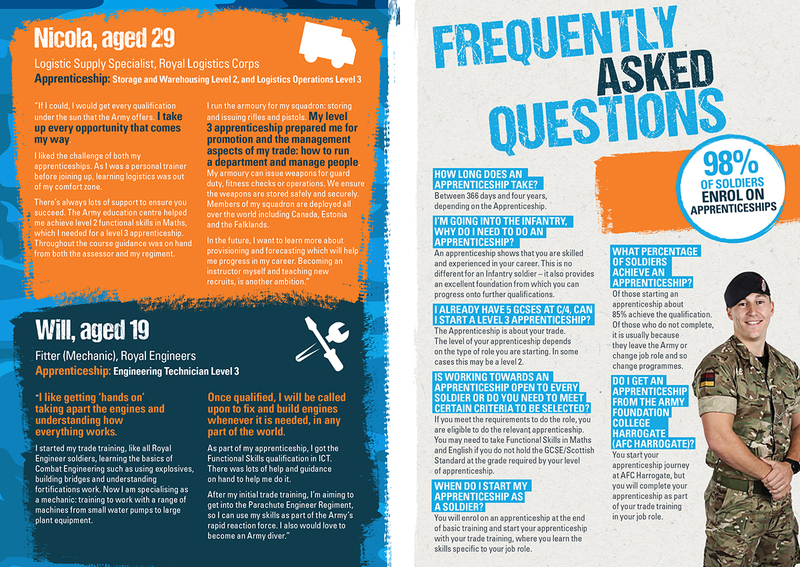 To find out more about the Army’s Apprenticeships Click here. It doesn’t matter where you’ve come from, or what you have, or haven’t, studied – if you’ve got drive, determination and the will to make an impact, there’s a place for you here. You’ll have access to world-class training and development, and the chance to gain valuable qualifications. You’ll get to see the world – from skiing in Europe, to white-water rafting in the States, to being on operation across the globe. You’ll have the chance to make a difference, realise your potential, and make people proud. Your Army Needs You. Join the British Army.